You’ll have to pack a picnic lunch as there are no bars or restaurants, although you’ll find a kiosk selling cold beer, but a visit to Praia Forte do Paço is well worth it. Located an hour north of Porto, which has an international airport, this intimate beach is a half-mile stretch of sandy coves with shallow inlets that are perfect for children. Free parking and restrooms are available. Explore the nearby 18th-century fort when you tire of sand and sea, and when you’ve worked up an appetite, head 15 minutes south to the city of Viana do Castelo. In the sea port you can enjoy lunch or dinner at Tasquinha da Linda, a converted fishing warehouse with an atmospheric stone interior, next to the Santiago da Barra Castle. What to order? A traditional cataplana, a copper casserole filled with fresh fish and seafood. Note: Options for water activities are not limited to the seaside. An extensive network of praias fluviais (river beaches) in the center of the country offers a different kind of experience. Inland you can avoid the cold temperatures and salty, rough surf of such beaches as Nazaré, Guincho, and Ribeira d’Ilhas. 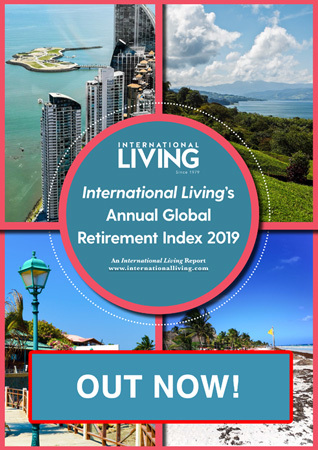 Instead, you’ll find calmer, cleaner, warmer waters, on grassy and sandy banks, often with outdoor cafés shaded by brightly colored umbrellas. Praia de Palheiros do Zorro translates to Beach of the Fox’s Haystacks. 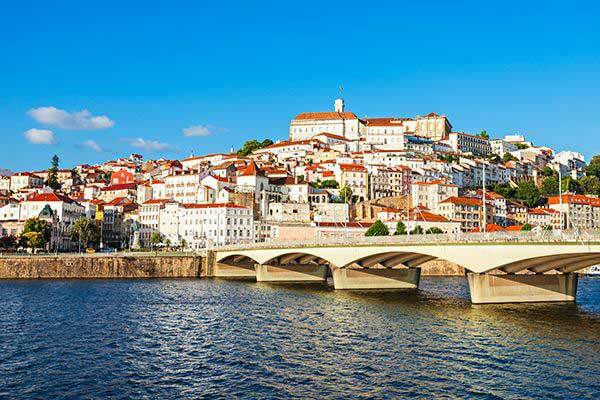 It also translates to a welcoming river beach near the bustling university town of Coimbra, the former capital of Portugal. Leave your car in the parking lot and head to the bar for a refreshing beverage of choice and a plate of traditional caracóis (snails), then take a dip in water so shallow it gives the impression of a large pool. Later, stretch out on the ample sandy expanse or under a shade tree. If you prefer your own fare, bring a cooler and make use of the barbecue area and picnic tables. The recreation area also offers a volleyball court on-site. One advantage to visiting this particular beach is its proximity to all that Coimbra offers, from the Joanine Library at the University to the National Museum of Machado de Castro, featuring an impressive collection of art and antiquities. South of Coimbra, just 25 miles from Lisbon’s city center and near the city of Setúbal, Serra de Arrábida Natural Park is considered a Portuguese paradise. Dazzling landscapes are home to rare animal species, and you’ll discover fascinating caves as well as a 16th-century abbey. But the sparkling jewel is the stretch of the area’s magnificent beaches, Portinho de Arrábida. There are actually four principal beaches here, with crystal clear, turquoise waters: Praia da Figuerinha, Praia do Creiro, Praia da Galápos, and Praia de Galapinhos. The first two are the most easily accessible, with several parking lots available to visitors. Or you can take a bus from the Alegro Shopping Center in Setúbal directly to the beaches. If you don’t want to go all the way back to Setúbal to dine, grab a burger, fries, and a cold drink at O Zeca beach bar and restaurant on Estrada do Portinho do Arrábida. Insider tip: During summer—June to September—the road is closed between Figuerinha and Creiro beaches. But you can hop a bus that connects the beaches or take a leisurely walk of less than two miles from one to the other. Vicentine Coast Natural Park, termed the last wild coast in Europe, is located in the southwest tip of the country between the Alentejo and the Algarve. The region is dotted with Moorish ruins, and its black and jagged cliffs, cascading freshwater falls, and pristine beaches make it a nature seeker’s paradise. You can walk the Vicentine Route, a well-marked footpath from Setúbal, near Lisbon, all the way to Sagres, which is historically linked to the nautical school founded by Prince Henry the Navigator. One hidden gem is Praia da Amália, near the village of Azenho do Mar in the concelho, or county, of Odemira. This small beach—it virtually disappears at high tide—was named for the legendary fadista Amália Rodrigues, who both learned to swim and kept a vacation home here. Access requires a fair hike down to the water, so it’s really not for children. But if you are looking for unspoiled and private, this is it. A suggestion: stay a night or two at the four-star, pet-friendly Cerro da Fontinha in nearby São Teotónio. The buildings are typical alentejana-style: long, low, built of wood and stone more than one hundred fifty years ago. You’ll be free to hike, bike, birdwatch, and explore other area beaches like Carvalhal, Machados, and Odeceixe at leisure. 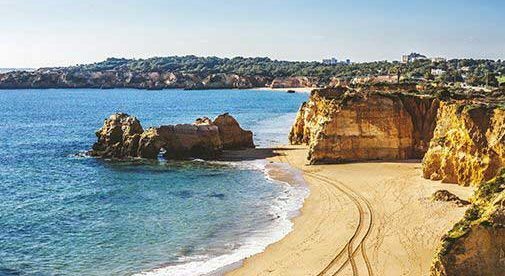 Meia Praia is the largest beach in Lagos, and many say it’s the best in the Western Algarve, where sandstone cliffs give way to grassy banks bordering languorous stretches of golden sand. There’s a lot to support that designation, because of the beach’s bars, restaurants, and marina. But if you’re looking for stunning scenery, my suggestion is Praia da Benagil in Lagoa. Carved over millennia by rainwater and the crashing Atlantic surf, the coastal area near Benagil features a string of labyrinthine caves. Some are miniscule, some underwater, some darkened for lack of sun. But the most well-known, Benagil Sea Cave, is large and airy, with ethereal sunlight streaming through a photogenic circular skylight, eroded by the elements over time. Access to the cave is available by boat, kayak, or Stand Up Paddleboard (SUP), which can be rented at a beach-side kiosk. Some swim the short distance, but it’s not recommended—or at least use great caution—as the seas can be very rough. Something else to remember: from June through September the water is warm enough to swim in, but July and August are quite busy, so you may be standing in line for a while to rent a boat or board. Finally, check local maritime listings and go at low tide for the best access and photo opportunities.